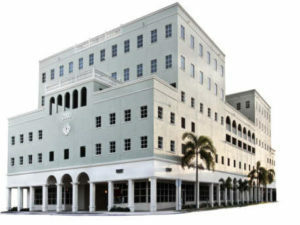 This Virtual Office Miami is located in the prestigious Coral Gables area. Super easy access with ample parking directly in the building. Sufficient street parking for quick customer access and a modern design makes this one of our favorite locations in Miami. Close to the Miami International Airport, centrally located in the heart of Miami. Surrounded by Restaurants, retail locations and in walking distance to the famous Miracle Mile. This Virtual Office Miami location is setup with 4 conference rooms and close to 50 private offices, kitchen, business support center and administrative staff on side. While the virtual office is what most people start with, we also offer permanent executive office suites at this location. Our virtual assistant services as well as the live phone answering services can be added as you need it. Your professional corporate identity can be set-up in most cases at the same business day. Inquire about our services if you have any questions about this location, by simply clicking the link above, we will answer all emails within the same business day if possible. Call us or inquire via email to schedule a tour for this location or just scroll through the pictures. I am absolutely satisfied with the service this location provides. I am an internet entrepreneur and writer and only need a physical office occasionally. The price is unbeatable and they are very flexible when it comes to package deals.